College of Art. He currently lives and works in Bristol, UK. interest in his work internationally. 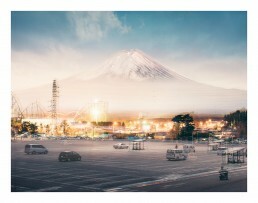 The beautiful and grand Mount Fuji has always been a symbol of worship as the mountain of god. Mount Fuji has fascinated many with its high altitude and symmetry of the foot of the mountain, and it has been expressed in many paintings and sculptures. 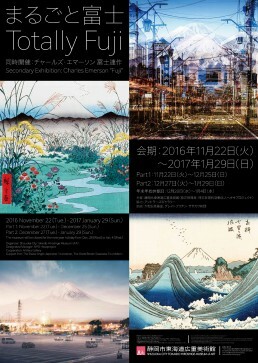 This exhibition features the Ukiyoe-Hanga series including the Thirty-six Views of Mount Fuji (Horizontal) and the Thirty-six Views of Mount Fuji (Vertical) depicted by Eshi of the Edo period, Utagawa Hiroshige, and puts focus on the people of the Edo period. 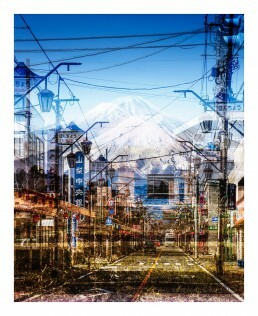 We have also exhibited a magical Mount Fuji captured using multiple exposure by British photographer, Charles Emerson.